The American College of Greece | Student Awards Ceremony 2014: Moments of honor and reward. Home » News & Events » News » Student Awards Ceremony 2014: Moments of honor and reward. Student Awards Ceremony 2014: Moments of honor and reward. Just a few days before the DEREE Commencement, the exciting atmosphere of graduation is prevalent all around The American College of Greece. Last night, a joyous award ceremony was held at the Irene Bailey Open Air Theater to honor graduating students for their outstanding academic performance, their leadership skills and their contribution to the wider College community. More than 100 students were awarded, a significant number of which have already successfully launched their careers after having completed their internships in leading companies around the world. President David G. Horner delivered a welcome speech about the importance of standing out as a student, a personality, an institution. He stated that the American College of Greece can be characterized as an outlier, since it has managed to make a difference at such challenging times by enhancing the employability of its graduates: Only 12% of ACG graduates are still seeking employment just 6 months after their graduation. Introducing the announcement of the awards, Provost Thimios Zaharopoulos added that the success of The American College of Greece is inextricably connected to the accomplishments of its students. Dr. Dimitris Andreou, Vice President of Enrollment and Administration, pointed out that these high-achieving students are the best ambassadors of the College and its mission to offer high-quality transformative education. During the ceremony, the distinguished DEREE students walked along the red carpet to receive their awards and the warmest applause from an audience of fellow students, friends, faculty and administration of The American College of Greece. The award categories included: the Outstanding Graduate Award, presented to graduating students from each major of all three DEREE schools; the Society of the Year Award for societies of DEREE schools that significantly contributed to co-curricular life; the Parallel Studies award, presented for the first time to recognize the exceptional academic performance of a graduating parallel studies student; the Athletic Award, the Recreational Sports Award, the Intramural Sports Award, and the Intercollegiate Sports Award for students who demonstrated outstanding athletic performance and let their teams to victory; the Outstanding Club and Organization Member Award, received by students who demonstrated devotion to a club or organization and inspired fellow members with their vision; the Student Life Club Excellence Award, presented to a club that excelled in developing initiatives and overcoming challenges; the College Spirit Award received by the student who exhibited community spirit and motivation to support the College’s mission; and the College Life Leadership Award, in recognition of the recipients’ leadership skills and high achievement. 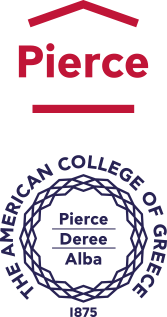 The American College of Greece congratulates the awarded students and wishes the best of luck in their future endeavors. The Student Awards Ceremony 2014 was just the beginning; this week of celebration, the graduation week, will conclude with the Commencement Ceremony that will take place on Saturday, June 28.